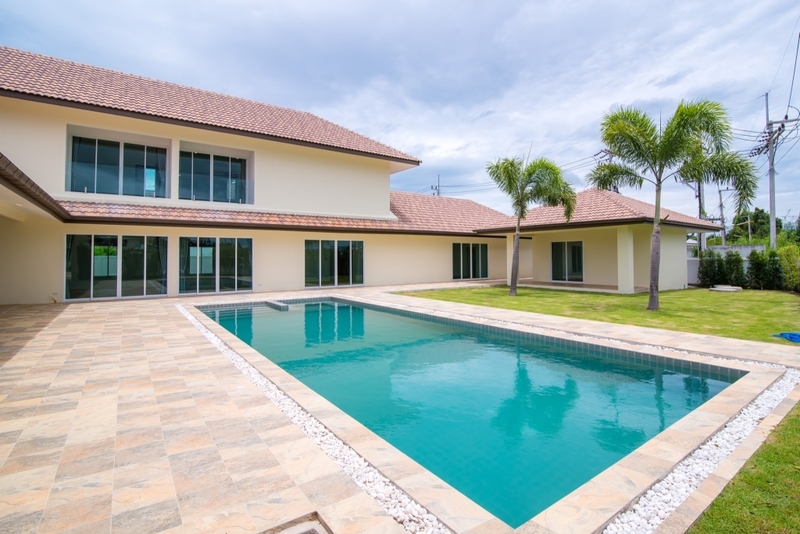 Brand new well-designed pool villa in Hua Hin near Hillside Hamlet, with just a 10-minute drive to Hua Hin city and Black Mountain Golf Resort. The original sales price of 13,9 M.Thb was reduced to just 10,5 M.Thb for a quick sale. 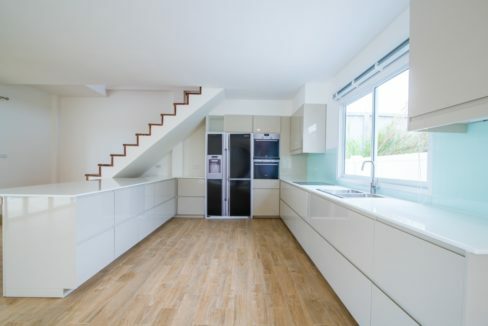 Now the house must go at the very last unbelievable price of only 7,9 M.Thb (20,000 Thb/Sqm). The villa features an extra spacious living/dining lounge combined with a fully fitted modern European style kitchen, 5 large bedrooms with ensuite bathrooms and walkin closets. 2 bedrooms on ground-floor, 2 bedrooms at upstairs 1st floor and a 1-bedroom separate guest house with covered terrace. You’ll also find a fully covered patio and a 5×14 meter large swimming pool with jacuzzi. At the gated entrance a double covered carpark with utility rooms. The villa, located in the country side near Red Mountain and Hillside Hamlet communities, is sold unfurnished but including fully fitted modern EU-style kitchen and wardrobe cabinets in all bedrooms. The villa is free from any maintenance fee burdens. This well-designed pool villa in an attractive area is offered at a highly competitive price. Download description at: www.dansiam-property.com/11000002 and mail or call for viewing (+66(0)81-860-9611 (English/Thai) / +66(0)81-820-3496 (English/Scandinavian)).